State regulators are asking Texans to reduce their energy consumption during peak morning hours Thursday to avoid additional rolling blackouts. 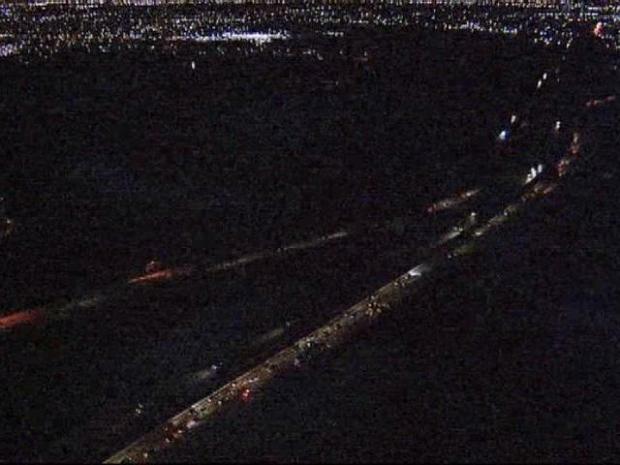 The Electric Reliability Council of Texas, the agency that supervises the electric power distribution grid for most of the state, ordered rolling electrical outages Wednesday morning to compensate for a power generation shortage. ERCOT said the forecast for Thursday's peak load is 56,800 MW, which would break the all-time winter peak demand record that was set Wednesday evening. 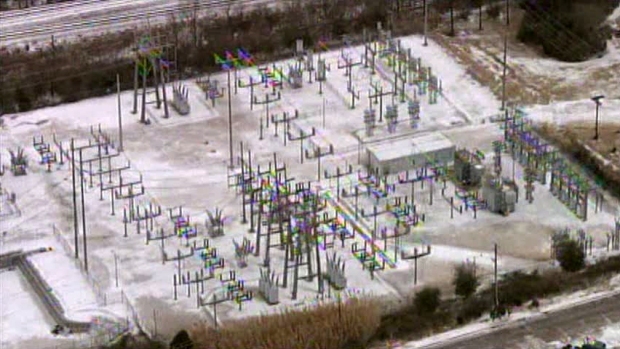 In addition, more than 5,000 MW of generation on the grid is out of service because of the extreme cold, ERCOT said. The agency asked people to reduce their power consumption between 6 a.m. and 9 a.m.
Rolling blackouts in Collin County are frustrating residents and costing business owners money. ERCOT suspended Wednesday's rolling outages after nearly eight hours, but warned that additional rotating blackouts could come without notice if usage spiked again and generators couldn't meet the demand. The agency said Wednesday night that the grid situation was "improving" but warned that it was still monitoring the grid for any additional unexpected major losses of generation. ERCOT said Wednesday's outages were necessary because of a shortage of available power because of broken water pipes at the Oak Grove and Sandow plants. Natural gas power plants that should have provided back up had difficulty starting because of too-low pressure in the supply -- also caused by the cold weather. "This is a statewide emergency that occurred, and we had to act fast," Oncor spokeswoman Megan Wright said. "Had we not initiated these rotating outages, something more catastrophic could have happened, like a massive blackout." Transmission providers such as Oncor Electric Delivery, which serves much of North Texas, determine the scheduling of rotating outages. "We're taking direction from ERCOT," Wright said. "They control the flow of electricity in most of the state of Texas, and if they see a problem with supply and demand, we have to comply." Critical-need customers such as hospitals and nursing homes are not included in such outages, ERCOT said. While some neighborhoods had repeated blackouts, other parts of North Texas -- such as the home of Super Bowl XLV -- kept their lights on. Wright said evacuations at Cowboys Stadium, downtown Fort Worth and downtown Dallas could have been dangerous. However, the city of Arlington did not request such an exemption, the Fort Worth Star-Telegram reported. The city's fire chief told the newspaper that the stadium and city facilities were "OK from a backup power perspective." The stadium's backup generator could run for up to a couple of days, M-E engineers of Dallas told the Star-Telegram. But Dallas did ask for an exemption for City Hall, which is housing the Super Bowl Emergency Operations Center, and for the Dallas Convention Center, which is hosting the NFL Experience. Hotels in downtown Dallas, where many fans are flocking in the run-up to the big game, were also not affected by the controlled outages because they have a special hookup to the power grid, said Larry Auth, a spokesman for Omni hotels. The NFL said some of the hotels the league is using had "brief but expected" outages that caused no problems. The hotels where the teams are staying have backup generators, so any power outages would be brief while the hotels switch to those generators, Auth said. Wednesday's rolling blackouts came with little warning on the coldest day of the year, and it was half an hour before anyone would even confirm them to NBC DFW. "It would be nice if we had some idea it was going to happen," Dallas resident Joe Ellsworth said. "As a customer, I am appalled at what they did," he said. Amy Wilson experienced rolling outages to her Plano apartment four times in six hours. 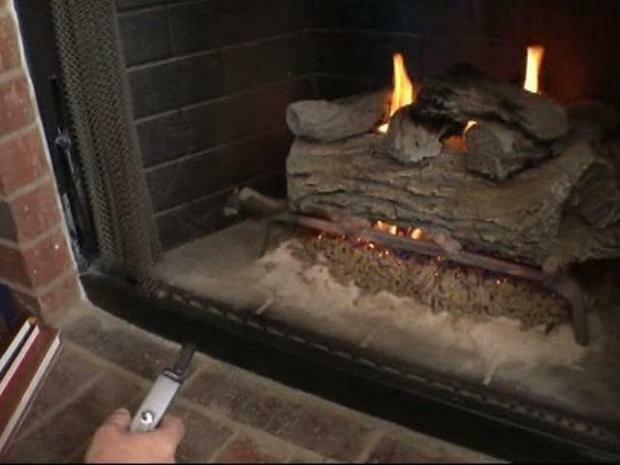 "I am just tired of the whole cold snap, and to wake up to cold air in the house is very frustrating," she said. Readers left angry comments on NBCDFW.com, and viewers called and wrote with similar complaints. Even Lt. Gov. David Dewhurst got in on it. He said he was frustrated by the situation, which he said "should not happen." The demand placed on the Texas grid was nowhere near peak capacity, he said. In addition to the rolling outages, tens of thousands of customers lost power because of the weather. Some reported outages of eight hours or more. Icy Roads Remain, So Why No Salt?